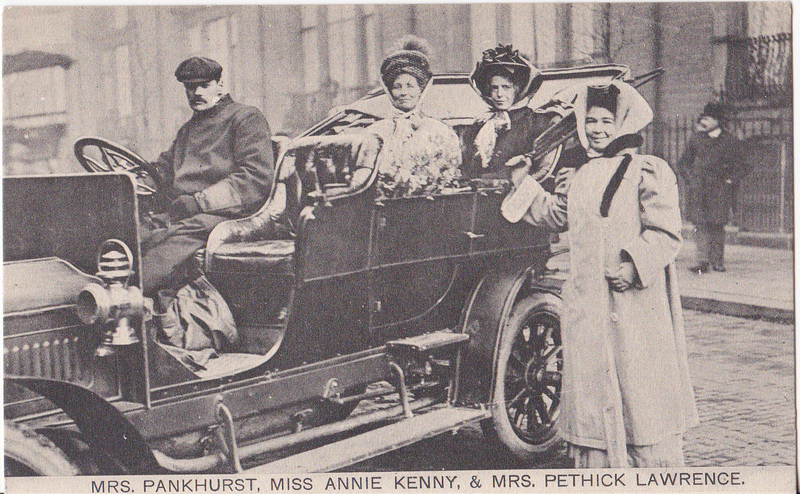 This is the car that the WSPU presented to Mrs Pethick Lawrence on her release from prison in April 1909.The cloth-capped driver is Mr Rapley from Holmwood, Surrey, where the Pethick Lawrences had their country house. The card was published by Sandle Bros and the type face used for the caption is the same as that for the ‘Rush the House of Commons’ postcards that date from October 1909 – so I would deduce that this card was published around the same time. This entry was posted on October 9, 2015, 8:26 am and is filed under Collecting Suffrage, Suffrage Stories. You can follow any responses to this entry through RSS 2.0. You can leave a response, or trackback from your own site.